Hello to all, I hope you are enjoying the weekend. I have used the sketch over at Little Claire's Designs & Stamptacular Sunday Challenge lucky for me they are both very similar. 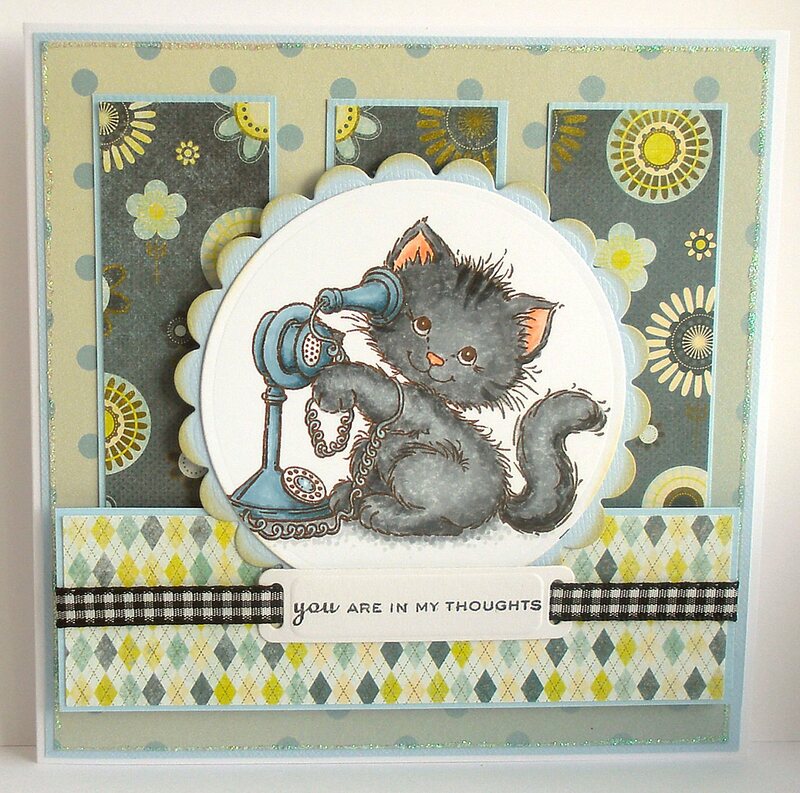 The image is called Hello by Laurence and it can be purchased from Wendy at Stamps and Memories. If you would like to know how I got the Kitten to look furry sign up to the Copicific Retreat weekend in Oxfordshire or if you are further North and would be interested in attending a Copic weekend full of tips/techniques and lots of colouring contact Stamps and Memories at wmailto:wendy@stampsandmemories.co.uk to register your interest. Wendy is looking at either Warrington or Manchester sometime in November. Oh Jenny,what I sweet way to let sombody know,your thinking of them. Aww this is sooo cute, love it! Thanks for playing along at Little Claires and good luck in the challenge! Your card is very beautifully designed. The colors fit perfectly together and the cat is so cute!